The Signature Crest is situated at a serene and peaceful location of Mahabaleshwar. Located in calm & lush green surroundings of Mahabaleshwar, The Signature Crest is a small home-like property that offers you a memorable holiday experience at an attractive tariff. Away from the buzz of city life, the hotel enjoys the incredible panoramic vista of picturesque Lingmala Waterfall amidst the valleys offering unparalleled natural splendor. The pastoral setting and restful ambiance of the hotel enhance the beauty of the place. 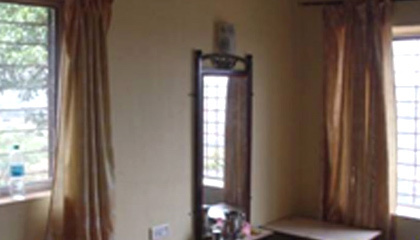 It is comprised of clean, spacious and well-managed rooms, which assure the guests a comfortable stay. 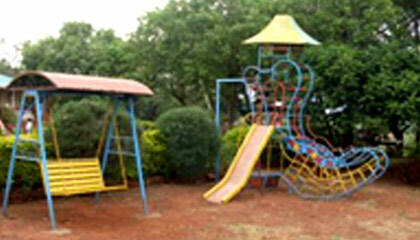 The hotel has a garden area that allows the children to go naughty during their holidays. The Signature Crest, with all its charm and flawless services, makes every stay an extraordinary experience. The hotel has 4 well-appointed rooms, which are spotlessly clean, spacious and filled up with all essential amenities to ensure utmost privacy and relaxation to the visitors.